The state’s two US senators and the congressmen representing the Merrimack Valley communities rocked by gas fires and explosions Thursday have sent a letter to Columbia Gas criticizing its “woefully inadequate response” to the disaster that forced thousands of residents from their homes. US Senators Edward J. Markey and Elizabeth Warren and Representatives Niki Tsongas of Lowell and Seth Moulton of Salem addressed the sharply worded letter Friday to Steve Bryant, president of Columbia Gas of Massachusetts. Thursday’s gas-fueled fires and explosions in Andover, Lawrence, and North Andover killed one, injured dozens, and displaced thousands. Moulton represents North Andover and parts of Andover, while Tsongas represents Lawrence and parts of Andover. Columbia Gas did not immediately respond to a message regarding Friday’s letter. They also asked if the utility plans to compensate those whose homes were damaged, and if it plans to provide restitution “or other support” to the families of those killed or hurt. Additionally, the lawmakers asked how Columbia planned to compensate communities and state agencies for the fires and explosions. 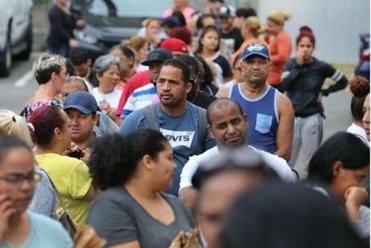 The letter was released by Moulton’s office Friday evening, just hours after Governor Charlie Baker declared a state of emergency for the three communities. Citing his dissatisfaction with Columbia’s efforts, Baker put Eversource, a rival utility, in charge of restoring gas service to the area. During a press conference Friday afternoon, Bryant, the president of Columbia Gas of Massachusetts, defended his company’s performance on Friday, pledged to continue a strong recovery effort, and promised to cooperate in an investigation.